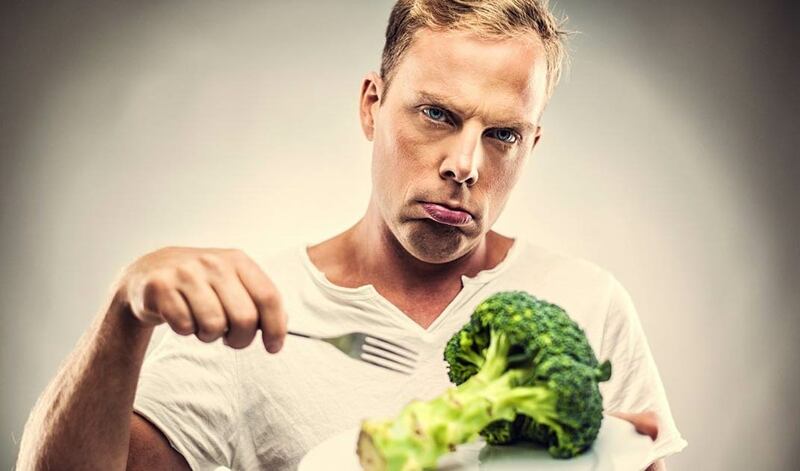 Healthy Defense: Top Four Nutrients A Man’s Body Needs | PrimeYours! There is no doubt that men’s bodies are different than women’s, and especially as men age, they need certain nutrients to help keep their bodies strong against disease. The best defense in general is a balanced and varied diet that includes lots of fruits and vegetables and is low in saturated fats. Also important is a moderate intake of alcohol and quitting smoking if you currently indulge. In comparison to women, men need to increase their intake of two elements in their diet due to their body composition and size. The testosterone in men’s bodies is responsible for the extra muscle mass that men develop in their bodies. This extra muscle mass means two things: they need more lean protein and they need more calories. Especially as you age, your body’s muscles will naturally deteriorate. One reason is men’s natural tendency to do less resistance work as they age than when they are younger, and another is the natural aging process. If you keep up your resistance training, your body needs even more protein to promote the recovery process to stay strong. The easiest way to figure out how much lean protein you need to consume every day is to take your weight in pounds and divide it by 2.2. This number will represent the number of grams of lean protein you should consume daily. To figure out your basic caloric needs for the day, you will need to figure on about 14 calories per day per pound of lean body mass (this is not your total weight). For example, an average man who weighs 180 pounds and has 17% body fat would carry 150 pounds of lean body mass. This man would have to consume a baseline of 2,100 per day to maintain that weight and lean body mass (this does not include any extra activity). There is a ton of medical literature about osteoporosis and women, and, in fact, there has been a big push to educate women in how they can maintain bone density. However, the message that men also have to worry about osteoporosis seems to be getting lost in the shuffle. Unfortunately, men’s specific nutritional needs are sorely under-reported, if not under-researched. In the case of your bones, it is believed that one in four men will suffer from an osteoporosis-related fracture in his lifetime. Calcium and vitamin D are your best dietary defenses against osteoporosis. In order to get your fill of calcium, eat low-fat dairy foods such as skim milk, low-fat cheese, and yogurt. You need about 1000 mg daily (three 10oz glasses of milk would satisfy that). Vitamin D is added to most dairy products, so if you are getting dairy from those sources, chances are good you are getting vitamin D.
Protein is also important in a round-about way: to support resistance training. Lifting weights has been shown to build and support bone density, helping you keep strong bones well into your potential hip-breaking years. If your body has a hard time digesting dairy products, add a calcium supplement to your diet (one that also contains vitamin D is best). Heart disease is the top killer of men, and stroke comes in at number 4 on the list. In order to have a heart-healthy lifestyle, it is crucial that you lower your intake of saturated fats and increase your intake of unsaturated fats. When you consume bad fat, you crap clogs up your circulatory system, leading to hardening, narrowing and clotting of the arteries. Good fats, which include omega-3 and omega-6 fatty acids, help to reverse the danger lurking in your past dietary mistakes by reducing your bad cholesterol level (the kind that leads to heart trouble and strokes) and lowering blood pressure. Sources of good fat include: fatty fish such as salmon, mackerel or tuna, leafy greens, flax seeds, avocado, and unsalted nuts. Eliminating bad fats from your diet also helps eliminate one big signal that you may have impending heart trouble: that beer belly. Men store their fat in their bellies (as opposed to women, who tend to store it in their extremities, away from the heart), which puts a large burden on your ticker. Your heart has to work to pump blood through that chub on your mid-section, which is no easy feat. Do it a favour and lose the belly through cardiovascular exercise. The most important nutrient that supports every single system, function and organ in your body is everywhere (and what’s better, it’s free! ): water. The importance of water cannot be stressed enough, but here is a good illustration: the average person can live between forty and forty-five days without food. That same person can live a maximum of five days without water. As your body dehydrates, systems fail and your organs shut down fairly quickly. Without water, your blood (82% water), brain and muscles (both 72% water) just dry out. To figure out how much water your body needs to support its basic systems, take your body weight in pounds and divide it by two. The number you come up with is the number of ounces you should consume. For instance, it you weigh 170 pounds, then you should be drinking 85 ounces of water. If you drink less than what your body needs, it will notably affect nutrient delivery to your cells, digestion, efficient kidney and liver function (disposal of waste products), and circulation. You can get your water the old fashioned way (drinking it), and also through foods that are high in water content, especially fruits and vegetables (grapes, melons, crisp greens, and celery are all great sources). Get it however you have, just make sure you do. It is the gasoline, oil and lube that runs your body efficiently. Your best bet to age gracefully and disease-free is to keep up your exercise regimen, have a healthy, well-rounded diet, and enjoy your life. There are no guarantees that good nutrition or exercise will guard against all disease, but they certainly can’t hurt. Can Snoring Affect Your Health?